30 Years of Continuing the Mission to help the Vietnamese People and Vietnam Veterans. It is said that "Behind every successful man is a woman." Well, behind every successful ministry is a "Prayer Warrior." If you would commit to praying for Vets With A Mission and its humanitarian programs and projects, for Chuck and Joette as wells the Vietnamese people, then you are ready to "Pray the price so that VWAM doesn't have to Pay the price," and sign-up TODAY for the VWAM Prayer Team! Please send an email to VWAM's Prayer Coordinator, Dr. James L. Simmons, D.Min. at ministryteam77@gmail.com . 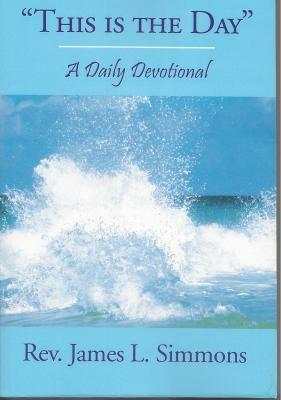 Also, if you would like to have a copy of Brother Jim's daily devotional, "This is the Day: A Daily Devotional," make sure you ask him about that. Amazon will donate 0.5% of the price of your eligible AmazonSmile purchases to Vets With A Mission Inc. whenever you shop on AmazonSmile. When first visiting AmazonSmile, customers are prompted to select a charitable organization from almost one million eligible organizations. In order to browse or shop at AmazonSmile, customers must first select a charitable organization. For eligible purchases at AmazonSmile, the AmazonSmile Foundation will donate 0.5% of the purchase price to the customer’s selected charitable organization.Mission Inc. whenever you shop on AmazonSmile. How does Vets With A Mission receive the donations? Each quarter, the AmazonSmile Foundation makes donations to eligible charitable organizations by electronic funds transfer. Donations will be transferred approximately 45 days after the end of each calendar quarter. To account for Product returns, a portion of the quarterly donations will be withheld until the next donation cycle, subject to any reduction due to returns from prior quarters. Vietnam vets served our country on land, sea and in the air to help the Vietnamese people. It was said, “We were the best and the brightest.” Well, we believe that is still true today. Vets return for a number of reasons including personal, religious/spiritual and humanitarian. Vets With A Mission is dedicated to reconciliation in helping Vietnam veterans and all veterans – even those of former South Vietnam, North Vietnam and the Viet Cong – to honor the past and embrace the future. Vietnam is no longer a war; it is a country. 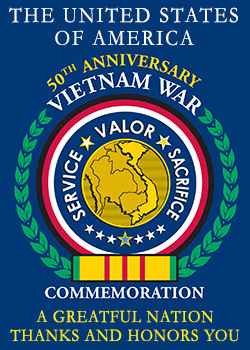 Since 1989 nearly 2,600 volunteers, both veterans and non-veterans, have traveled to Vietnam with VWAM. Now you can join us in making a difference in your life and the lives of others.